Since 1998, Habitat for Horses has worked closely with law enforcement throughout Texas and across the nation, assisting in investigations, temporary holding, documentation, and court presentation in abuse and neglect cases. The purpose of Habitat for Horses Inc. is a) To promote and secure the safety, well being and health of horses. b) To encourage education concerning the physical and mental health of horses. c) To utilize horses in the growth and mental health of humans, either adult or children, through education, demonstration and connection. d) To study, promote, and enhance the proper training of horses through positive training techniques. e) To provide a home for those horses who are no longer able to be productive. f) To return to health, if possible, those owned horses that are deemed sick or injured. Keeping a horse in its home is the primary goal of our investigations team. When we receive a complaint about a neglected horse, we’re usually able to correct the situation by providing assistance through education, medical assistance, feed or hay. Should that not work, we turn to law enforcement. Since 1998, Habitat for Horses has worked closely with law enforcement throughout Texas and across the nation, assisting in investigations, temporary holding, documentation, and court presentation in abuse and neglect cases. All we ask in return is, if the horses are removed from the abusive owner, they be turned over to us for rehabilitation and adoption. Every horse needs a home. Few moments are more treasured than watching a once starved horse, now healthy and happy, sharing a new home with a loving family. View our list of horses and donkeys, fully vaccinated, all medical work completed, and ready to join you and your family. They need you. Please call us for more information: 409-935-0277. Thirty-two year old, the mother of countless foals, she passed through our gates after law enforcement took the owner to court. Starved, because “She ain’t no good for nothin’.”, she found her final home in our arms. It took six months of intense care to get her weight back to normal, then she took her last trip in a trailer up to our Sanctuary in North Texas. 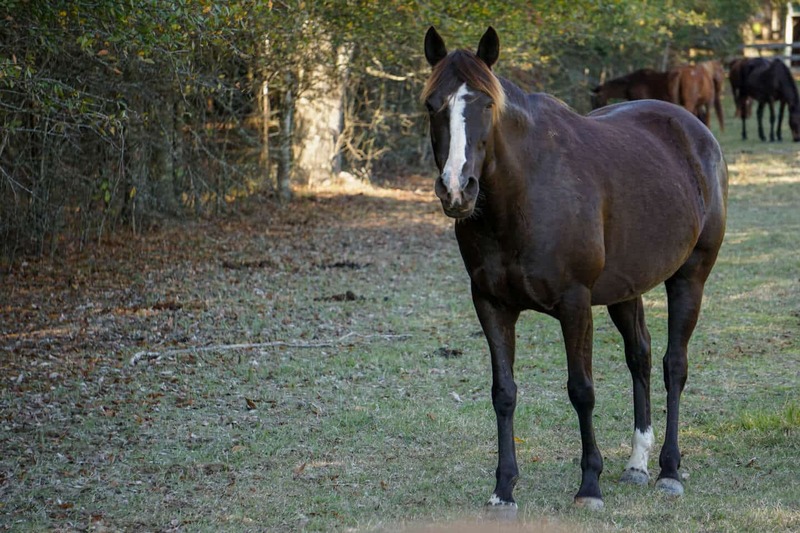 Ragtime Ranch is entirely devoted to providing refuge to those equine that need to spend their final years in peace. Seventy acres of pure coastal hay, deep well water, the best feed, a vet close by, and the loving care of our best employees and volunteers await the elderly. Habitat for Horses, Inc is a non-profit 501.c3 registered in Texas. Donations are deductible as charitable contributions for Federal income tax purposes. A copy of our most recent financial statement maybe obtained by sending $3 to the address below. For more information on adoption and other programs – including financial assistance, contact our office M-F 8am – 3pm. For information on why we do not have a BBB listing – click here. Law enforcement – contact our office for assistance in both civil and criminal enforcement of animal cruelty laws. Please note: If we don’t answer the phone, our staff is probably helping out in an emergency situation. The horses always come first! Please understand and keep calling.